This Corned Beef and Cabbage recipe is easy to make. 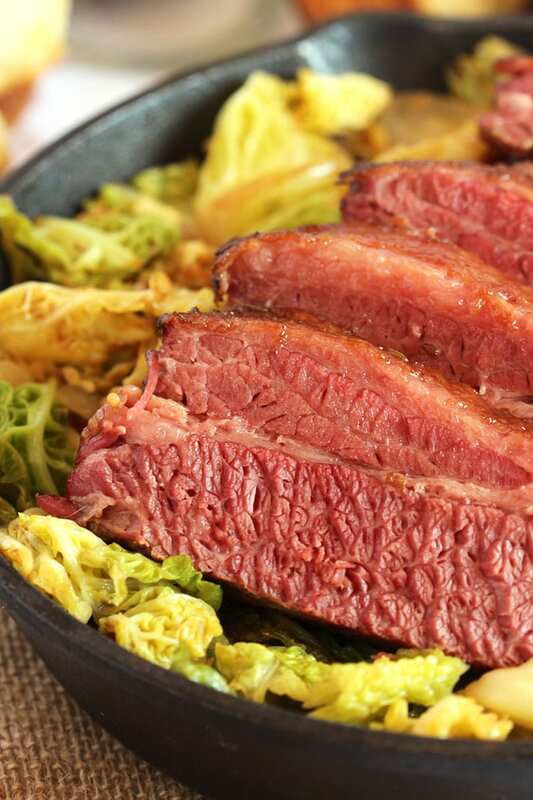 Ale braised corned beef is roasted with simple ingredients and paired with a caramelized pan roasted cabbage to create a dish that goes beyond the usual boiled dinner. Instructions are included for both the oven and slow cooker or crock pot. Every year, on St. Patrick’s Day, we had corned beef and cabbage for dinner that was cooked in the slow cooker all day long. 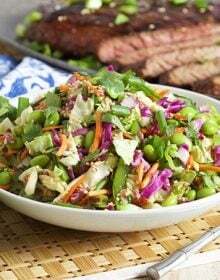 The smell of the cabbage was simply overwhelming….filling the house with the off-gasses from the vegetable that, by the end of the day, made me want to eat anything OTHER than corned beef and cabbage. It was like I could taste it all day…so, why bother eating it. I was ready for something else. Like Bangers and Mash….or peanut butter or jelly. When I moved out on my own, I vowed to never make Corned Beef and Cabbage ever again. I lived in an apartment building and, frankly, I didn’t want my neighbors to hate me…even though the lady downstairs used to bang on the ceiling with a broom handle and had a hang up with people parking in “her” spot. But that’s a story for another day. I really didn’t want to stink up the joint so I celebrated St. Patrick’s day with my usual Bangers and a few Bailey’s spiked cupcakes. It worked for awhile until I realized…maybe there was a better way. I did LOVE corned beef and I really LOVED cabbage…maybe the problem was in the preparation. Maybe the cabbage needed a little extra love all on it’s own so it didn’t start to stench like a week old garbage pail in 90 degree heat. Get what I’m saying here? So, I decided to try my hand at creating the most flavorful…the BEST Corned Beef and Cabbage recipe on the planet. And I think I succeeded…maybe not the best on the planet but if you’ve ever been to Katz’s Deli in New York City…..this corned beef rivals it. 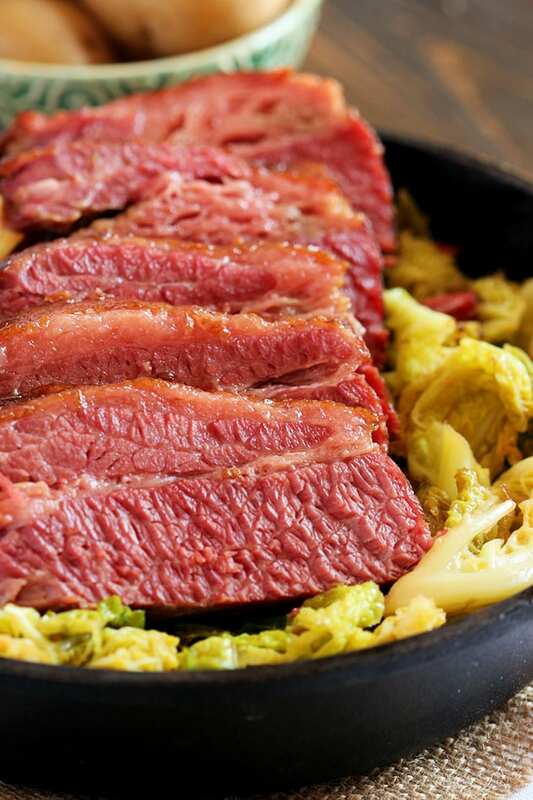 Corned beef is a salt cured beef brisket commonly used in braising with cabbage in celebration of St. Patrick’s Day. The term “corned beef” comes from the process used to cure the beef using large grained rock salt called “corns” of salt. How to cook Corned Beef and Cabbage? 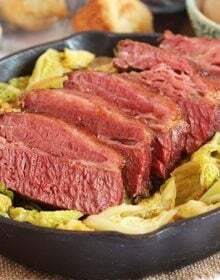 My favorite way to cook Corned Beef is in the oven but I also like a good Crock Pot Corned Beef and Cabbage for the ease of preparation and the fact that I don’t have to be home to pull it out of the oven when it’s done cooking. Now, we’re not curing our own beef here so don’t run away. But you’re creating two very simple dishes and then serving them together. It’s pretty simple. The Corned Beef is braised in ale (or a lager if you’re not an ale fan) with a few carrots, celery and spices for 3 hours. (or 6-7 hours on low in the slow cooker/crock pot) Yep, it’s long but you can do this. And the cabbage is fried in a skillet with some onions until they begin to caramelize then finished off with a quick roast in the oven. This prevents the cabbage from making everything taste and smell like cabbage…it also prevents the cabbage from becoming overwhelmed with the salty corned beef flavor. What you get is a deep, rich flavor of sweet and salty that will completely blow your mind. In a large dutch oven, heat the oil over med-high heat. Add the brisket to the pan fat side down and cook until golden brown, approximately 4-5 minutes. Turn the brisket over and brown the other side, approximately 5-6 minutes. Turn off the heat and drain the fat. Pour the ale over the brisket. Stir in the water, carrots, celery, mustard, thyme, mustard seeds and bay leaf. Cover and transfer to the oven for 3 hours. When the brisket has one hour left of cook time, heat the olive oil in a large skillet. Stir in the butter until melted. Add the onion and cook until softened. Add the cabbage. Cook until wilted and beginning to caramelize. Season with salt and pepper. Transfer the skillet to the oven and roast for 15-20 minutes stirring after 10 minutes. When the brisket is done, it should be tender enough to pull apart with a fork. If it’s still tough, continue to cook for an additional 30 minutes. Allow to rest for 10-15 minutes covered with foil before slicing against the grain. Serve with the cabbage. In a large skillet, heat the oil over med-high heat. Add the brisket to the pan fat side down and cook until golden brown, approximately 4-5 minutes. Turn the brisket over and brown the other side, approximately 5-6 minutes. Turn off the heat and drain the fat. Transfer the brisket to the slow cooker. Cover and cook in the slow cooker on low for 6-7 hours. When the brisket is done, it should be tender enough to pull apart with a fork. If it’s still tough, continue to cook for an additional 30 minutes. It’s so easy to make a slow cooker corned beef recipe from the oven version and it works well for busy family dinners! You can choose to use the little packet of corned beef spices that come with the brisket for extra flavor it you want, sometimes I just make my own corned beef spices with dry mustard, dried thyme, mustard seeds and a bay leaf. Mini Soda Bread Muffins….sooo cute and tasty! 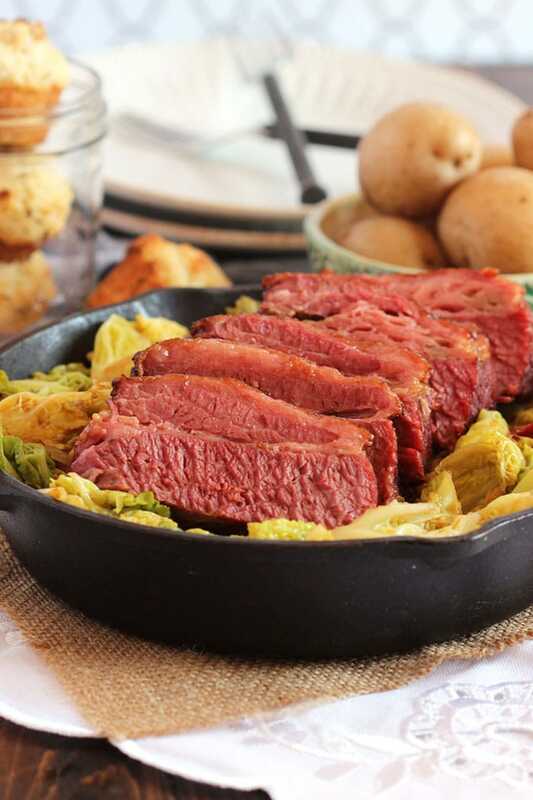 Trust me when I say….once you try the Very Best Corned Beef and Cabbage recipe, you will never make it any other way again. 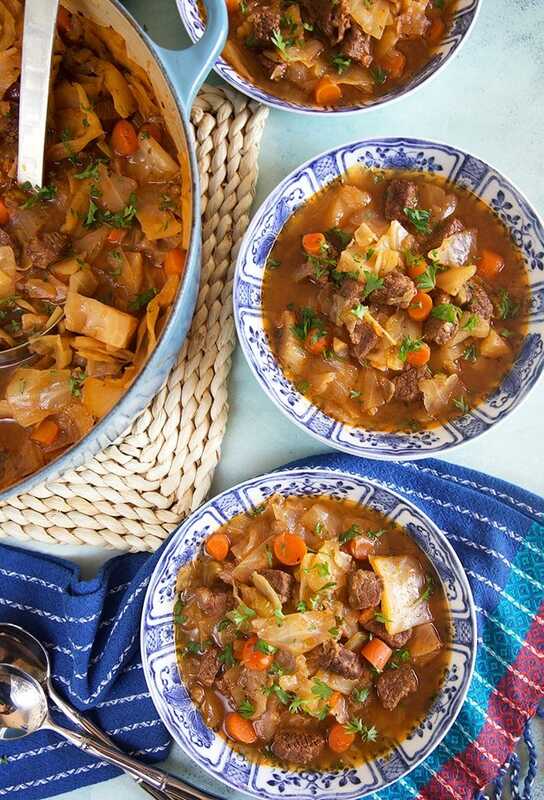 Easy Beef Cabbage Soup…a great way to use up that leftover cabbage that didn’t fit in the pan. Leftover corned beef? Try these easy Mini Reubens! The leftovers are incredible in a reuben the next day….so good, in fact, you will not be saving this recipe for once a year any longer. Want more simple recipe inspiration? Follow us on Instagram! 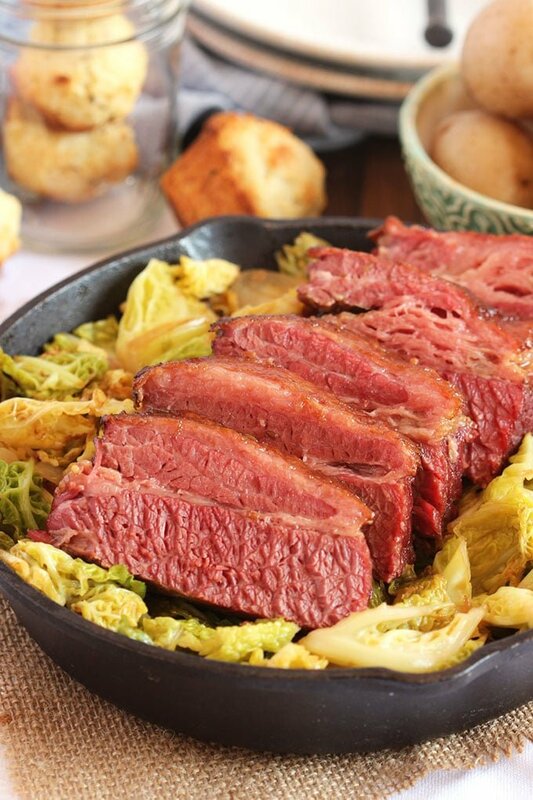 The BEST ever Corned Beef and Cabbage with instructions for both the oven and slow cooker. Perfect results every time. If oven cooking, preheat the oven to 300 degrees. When the brisket is done, it should be tender enough to pull apart with a fork. If it's still tough, continue to cook for an additional 30 minutes. Allow to rest for 10-15 minutes covered with foil before slicing against the grain. Serve with the cabbage. Girl, I make this every year for St. Patrick’s Day so I am pinning to save this! It looks wonderful! Oh. Oh my, this looks so damn good! It’s not even 7am here, and I’m already drooling over corned beef and cabbage! Wow. I’m seriously in awe. Sounds perfect for St. Paddy’s day. Love that it is one pot too. can I put the potatoes in the crock pot as well? Yes, you can but I’d put them in when there’s about 1- 2 hours left in the cooking time so they don’t fall apart too much. Hi, cooking in dutch oven pot. What do you recommend for cooking potatoes, throw it in the pot?…cook separately? I cooked my potatoes separately, the potatoes picture are just simple boiled potatoes tossed in melted butter then sprinkled with a bit of chopped parsley and salt. 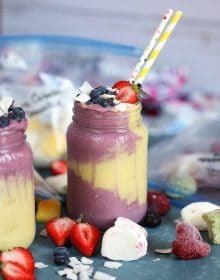 This recipe looks bomb!! I have everything to make this for dinner tomorrow night. Thank you ! I hope you love it!!! It’s our favorite! 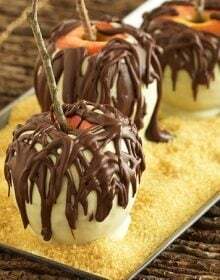 I have this in the oven right now and it smells amazing! You will love it! It’s one of my family’s favorite dinners. I made this the other day and it was great. I did tweak it a little by seasoning with garlic, pepper, a little ground mustard, mustard seed on top of the seasoning packet. I also cooked it for 3 hours 15 mins and put all my veggies in except for the cabbage, then cooked it for an additional 45 mins added the cabbage and continued cooking another 20 mins, let roast rest for 15 mins while everything stayed in the pot. It was a hit, the only problem was there was not enough for sandwhiches the next day as everyone loved it! So glad you loved it! We have the same problem with the lack of leftovers. LOL!! I”m not sure I ever saw a 13 pound piece of corned beef? Is this really the correct weight? Now I see that it was 1 (one) 3 pound corned beef and I just read it wrong as 13! Thanks for clarifying. Corned beef was delicious but, the cabbage was not good at all. I am cooking my corned beef in the slow cooker. Question: Is the oven at 300° to roast the cabbage? I saw that that is the temperature for cooking the corned beef, but since I’m cooking it in the slow cooker, I just wanted to doublecheck. Thanks! It is 300 for both. Thanks! Followed your recipe, we loved the aroma! Great tasting corned beef, thanks the recipe is a keeper! You’re very welcome! Thanks for coming back to comment! This is a keeper! I doubled the recipe (2-3lb corn beef) and cooked in a roasting ran for 4 hours at 325 degrees. It was probably the most tender corn beef I’ve ever made! The cabbage was a huge hit too. I cooked the potatoes separately and then added to the serving bowl with the seasoned carrots and celery to give them a little flavor. Delicious! I’m so glad you liked it! It’s definitely our favorite here. I made this dish on Saturday it was excellent. Next time I would still boil my corned beef first for a little while because it was salty. The cabbage was delicious! I cooked my potatoes separately because my family likes mashed potatoes. I’m so glad you liked it! Great tip to boil first if you’re sensitive to salt. Maryann, it will also help reduce the salt level if you rinse the corned beef well and dry it before browning it. Kelli, just wanted you to know I love your corned beef & cabbage recipe, it’s the best I have made or have had. Thank you for sharing, it will be my #1 recipe for corned beef! Oh! Thank you so much!!! I would love to make this recipe in my Instant Pot. Has anyone adapted this recipe for the pressure cooker? Do not use ale! I tasted the broth half way through. It was horrid. I drained it and am re seasoning it and using vegetable broth and beef broth. Hope it works. Well, I’m sorry you didn’t like it but I wish you had just responded when you were finished cooking the recipe instead of in the middle. The braising liquid isn’t really meant to drink while the corned beef is cooking, it just adds flavor to the beef. I agree, alone the braising liquid isn’t the best but it really is what makes the Corned Beef the best ever. 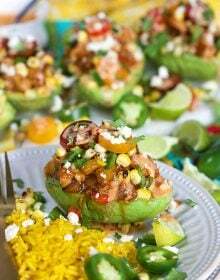 This recipe has been tested multiple times and tons of readers have loved it as much as I do. Thanks for giving it a try though. Was delicious. I added potatoes to help absorb the salt. Also a friend gave me a glaze recipe to put on the beef when you put it in the oven with the onions and cabbage. 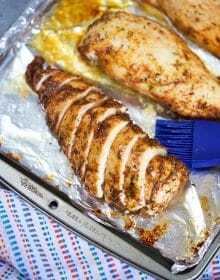 The ingredients for the glaze are: 2 tablespoons of Dijon style mustard, 3 tablespoons of brown sugar, 1 tablespoon of paprika Mix together & spread evenly over top of the meat. Bake @ 375 degrees in oven for 15 to 20 minutes or until glazed. Slice meat across the grain 1/4 inch thick. That sounds incredible! 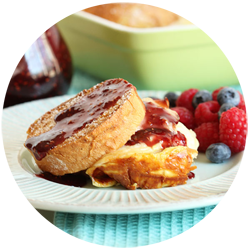 Thank you for sharing your glaze recipe, too! 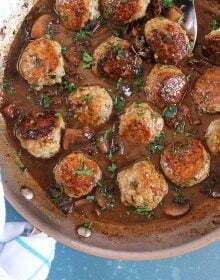 This is such a yummy, classic dish for this time of year. It’s hearty & filling & delicious! I loved the addition of the ale to the broth… it made the whole dish! So tender and flavorful! That’s my favorite part, thank you! Such a fun tradition to make for St. Patrick’s Day! Comforting and delicious! It really is! It’s our favorite. Hi there, Looking forward to trying this! We’re not big drinkers so don’t typically have beer in the house. I’ll be buying a bottle specially for this recipe. Do you have a brand of ale or lager that you prefer to use? Thank you! I’m not a big beer drinker either so I usually pick up a lighter ale (pale ale) like Sierra Nevada or something from Sam Adams. Purists would go for a Guiness but it’s very hoppy! Ha! I think your blog is the only one I’ve ever read that I didn ‘t spot typos! I do have to say I am thrilled to find a way to make the stinky cabbage my husband insists on every St Patrick’s day!!!!! Forever in your debt! 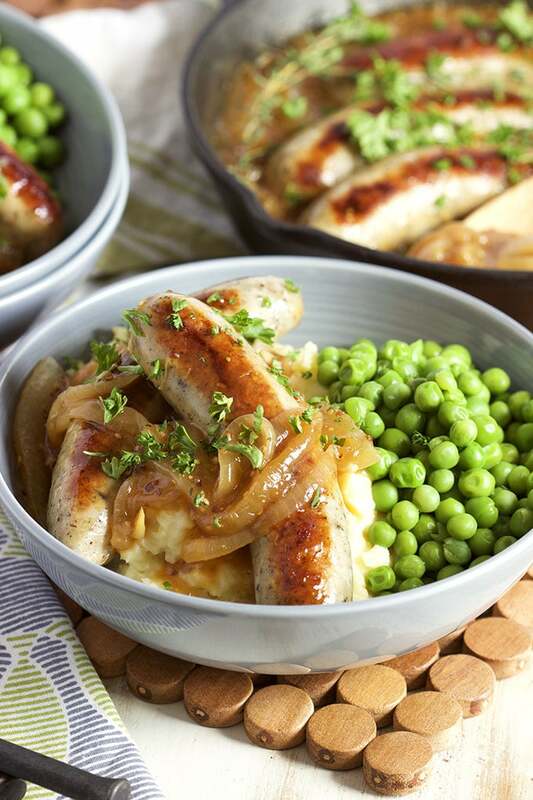 Oh, also, pinned your Bangers and Mash recipe. LOVE me some Bangers!!! LOL!!! I’m still finding some typos myself but I try my best not to be lazy. Bangers are the best! So glad you love them. 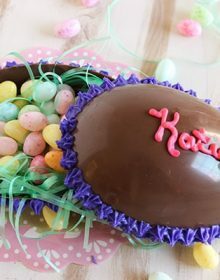 Making this tomorrow for St. Paddy’s Day! Can’t wait! It’s in the slow cooker now! Though my briskets didn’t come with a flavor packet. Dubbled the recipe for 2-3lbs briskets! You said to core and slice the cabbage. Is it more wedge style slices or 1 to 2 inches? Can’t wait to try it! It really doesn’t matter how you cut the cabbage, you can have bit pieces or little pieces. Smaller will yield more melt in your mouth cabbage. This was the most delicious corned beef I have ever made. I used three separate corned beef steaks totaling about 5.75 lbs, and did this in the slow cooker. I used 2 bottles of Smithwicks beer and did not need the full amount of broth/water. The cabbage prepared in this manner is so delicious. I will never go back to boiling my cabbage again. This is a keeper! I prepared mashed potatoes in the instant pot and roasted asparagus and soda bread as sides. So delicious!!! I love it! Boiled cabbage is just boo. LOL! With an hour left, Am I suppose to transfer the brisket to the skillet with the cabbage and onions if cooking in the slow cooker and then roast all together? No, please follow directions exactly as written. Thank you! Perfect! A guest that only eats meat and potatoes when back for seconds on the cabbage! YES! I love to hear that! This looks very good. I want to try but my Dutch oven cover isn’t oven proof. It has a plastic knob handle. I hope it will be ok to just simmer for 3hrs. It would work if you simmer covered for 3 hours, too. thank you! Happy St Patrick’s Day! This is my first time making corned beef. I have made cabbage before. But in honor of the day… I used this recipe… exactly as written. I also made soda bread to go with it. It was wonderful. I used the crockpot and couldn’t have been more pleased. Thank you for my new yearly St Patty’s day meal! 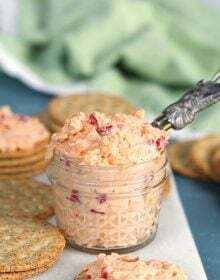 I am currently making this recipe (SO EXCITED). I have the crock pot with an oven safe inner pot. I am short on time, so do you think I should turn the crockpot on high, or just put the oven safe part of the crock pot in the oven??? Would it be pretty much the same on high for 3 hours? It would definitely work well that way, too. Home run Kellie! Followed the recipe exactly. Crockpot for the meat, stovetop & oven for cabbage. Turned out perfectly delicious. Happy St. Patrick’s Day. Thank you.